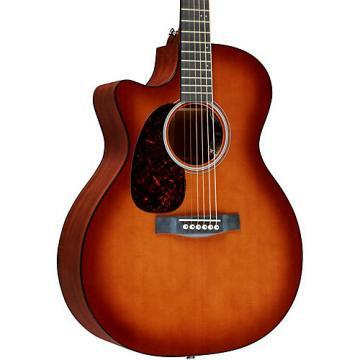 The Martin DCPA1 Plus Performing Artist Series Plus Acoustic-Electric Guitar is the flagship of the Performing Artist Series. 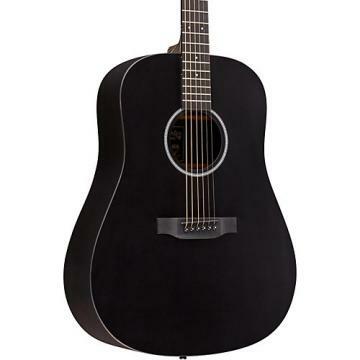 This beautiful instrument ensures that legendary Martin tone reaches your audience in the highest style. 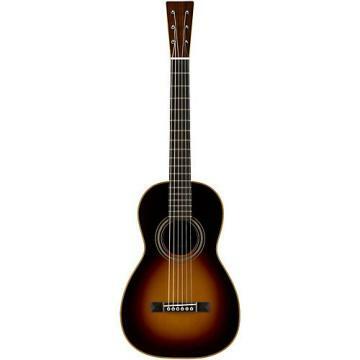 With solid East Indian rosewood back and sides and a Sitka spruce top, this instrument integrates state-of-the art electronics with striking aesthetic features, player comfort and exceptional tone. The Martin DCPA1 Plus features the stunning realism of award-winning Aura Acoustic Imaging technology in a distinctive and easy to use onboard preamp system. The heart of this onboard intelligence is its ability to replicate the sound of nine different world-class studio microphones. Delivered in an intuitive menu driven interface that is very versatile with controls placed in perfect position for total ease of operation while performing. Controlled with two low profile control buttons and a single large, bright LED display. Placed in perfect position for total ease of operation while performing. F1 Aura+ offers a simplified set of user controls called Easy Mode. This mode allows you to quickly get a feel for the tonal possibilities of F1 Aura+ while providing quick access to the most important features you'll need every day. Simply press the Tone control to step through 3 custom-blended Aura Image presets as well as audition the uneffected, Gold Plus pickup sound. The one-knob Tone control blends between a natural, undersaddle sound with no EQ (flat) on up to a "scooped" tone with emphasized treble & bass and reduced midrange. For the real tone-tweakers, we've retained the original Performance Mode as well, giving you full access to F1 Aura's powerful 3-band EQs, compressor and automatic anti-feedback. Includes case. Beautiful tone and style with high quality electronics. OMG! Just when you think that Martin has reached the ultimate sound that can be obtained from an accoustic guitar, they make you say "I was wrong"! Unplugged this is a great Martin Guitar. It only competes with my D42. Plugged in, it is fantastic. The pictures you've seen don't do it justice. The demo's you may have listened to, don't show it's tonal abilities, and I have not yet explored them all. I gave my HD28VE to a dear friend. They will need to pry this one from my cold dead hands. 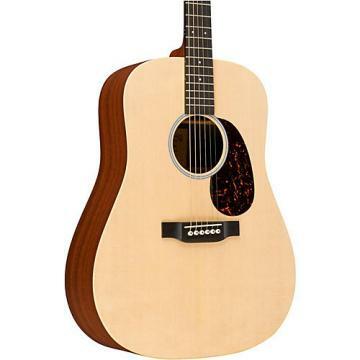 .This might not mean much to the readers of this review, but I'm a 71 year old retiree, and since I was 14 years old, trying to learn how to play guitar, I've always dreamed of owning a Martin someday. I could never justify paying the high cost of buying a Martin until now. I decided that in my advanced years, I would finally own one, no matter how good or bad (mostly bad!) a player I am. I've owned some nice acoustic guitars throughout the years, but now that I own a Martin, I realize what a great instrument it really is. It's pricy, but like my Harley, it's worth every penny. This guitar sings! I received it from MF 2 weeks ago, as a Christmas present to myself, and haven't been able to put it down since! Like my Harley, I appreciate the history of Martin guitars. It's overall quality, not to mention it's amazing sound, is unequaled in my opinion. .The battery life on the pickup lasts an average of 20 hours. When you're a full-time performing musician...This lasts you about 2 weeks (Not good). My Taylor 516CE has the expression system and it lasts me months, and my Guild GAD50 has had the same electronic system in it for 2 years and I haven't replaced the batteries yet. Moral of the story...If you can avoid it...Go for after-market electronics. .I cannot lay this intrument down! I have several guitars I love. One is a Gibson. Another is a breedlove, but this Martin is by far the best. I also have a Martin 12 string that I am very happy with especially for group sings and backup rythym. But the DCPA1 is now my absolute favorite! Probably be the last guitar I buy for life, at 59 years old! Love it. great guitar. nothing i don't like about it. 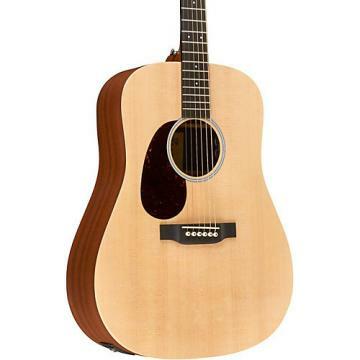 .I already own a Martin GPCPA4 which I love and it plays great. I wanted to step up to a larger body size and the DCPA1 Plus is a full size dreadnought with a cutout and the Aura electronics from Fishman. .I love the sound and feel of this guitar.